How many of us have a thousand emails sitting in our inbox, thinking that we’re going to get back to them one of these days? If you’re like most people, there’s a fat chance that you’ll never ever get to read every one of those emails. Frank Buck, author of Get Organized!, says everybody’s two biggies are losing weight and getting organized. Frank offers organization and time management solutions through his consulting firm. He shares what makes his book different from a lot of the other time management, organization, and productivity books out there. He also touches on digital task lists, Evernote, and where to start if you have a crazy unruly inbox. We have Frank Buck with us who is a time management extraordinary. He’s a public speaker, coach and writer. He’s the author of Get Organized! Time Management For School Leaders and also for you who are reading, not just for school leaders. Dr. Buck helps busy professionals achieve their goals through organization and time management. He was named the Global Gurus Top 30 in Time Management for 2017 and 2018. Congratulations and welcome, Frank. Thank you, Penny. I am delighted to be here with you. We both have a keen interest in helping people to be more productive and to be more organized and think more strategically. It’s going to be fun to pick your brain a bit. Absolutely, the same here. You have two minds of the same accord here. Let’s talk about your book Get Organized!. First of all, the topic right there has people shivering in their boots because people don’t like the thought of having to get themselves organized. Where do you think that comes from? The fear that it’s going to be hard, that it’s going to be totally overwhelming, “I’ve tried it before. I can’t do it.” People have that fear yet every January, “I’m going to lose weight and I’m going to get organized.” Those are your two biggies. Somehow the next January, they’re still everybody’s two biggies. The thing is it’s easy to do if you have a system to do it. Tell us about that. Is that something that you reveal in your book, a good system that people can use to get organized? Yes. 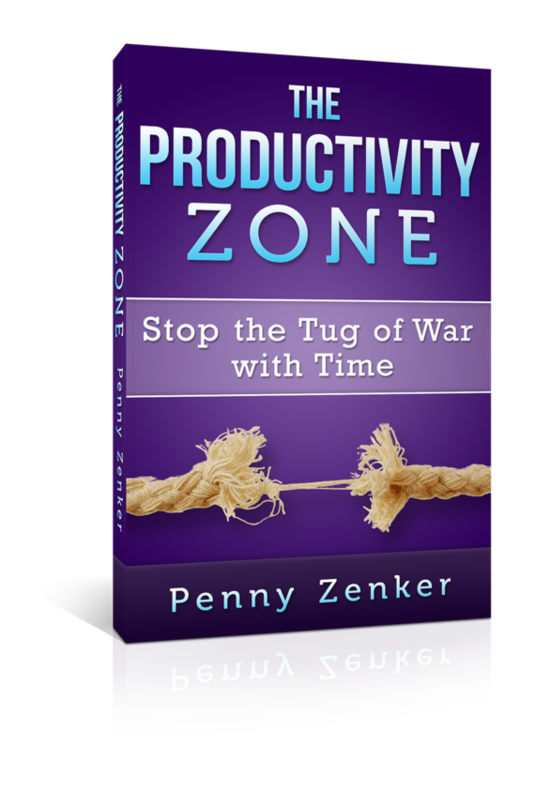 If we look at what makes my book different from a lot of the other time management, organization, productivity books that are out there, I’m nuts and bolts. I don’t think people want more theory and people saying, “Getting organized, time management, it’s important. You need to do it.” They want to know how. “What do I do now? What’s the first thing that I do?” Another thing that makes this book different is my background in education and my Doctorate was in School Leadership. My doctoral dissertation was on time management. As I’m doing all this research, I’m finding there’s a whole lot written for the business world but not much geared toward school people. I started going the other way. Let me do a dissertation which eventually turned into the book and a full-day seminar. Let’s start with education but it can relate to everyone else. For people who were out there, if you’re a school principal, the book’s going to be right down your alley. If you’re a teacher, it’s going to be right down your alley because you’re also a school leader. If you’re an attorney, if you’re an insurance salesman, if you’re a nurse, we’re all dealing with email, voicemail, interruptions. How do I get everything done in a world of far too much to do? The vignettes, they might talk about teachers and principals but the principles that are in there apply to everybody. They’re the same challenges. It can totally be cross-contextual. You talk about digital task lists. You’re big with Evernote. Tell us a little bit about using the digital task list and how we do that. Why Evernote? You’re a believer in zero inbox? Absolutely. When I go out to the metal mailbox in front of my house, it’s got mail in it because I haven’t gone to that mailbox now. I’m going to make one trip to that mailbox and when I get done it’s going to be empty. I’m not going to that mailbox and find that today’s mail is on top of yesterday’s mail that’s on top of the mail before it, and I read the mail and stuff it back in the mailbox. That would not work. Nobody would do something like that, but that’s about how 97% of the world handles their email inbox. I’m going to for a second play devil’s advocate because I’m not a fan of it. It’s good to have a little banter on these shows because there might be some people who can appreciate either perspective. My challenge with that and advising people on that is that it’s okay if you get five pieces of mail. If it’s three, you can print it out and have it on your desk. If you do get 103 pieces of mail, is it the wisest thing to be looking and spending time on things that aren’t appropriate for you? I am an advocate of having an admin or somebody support you and/or automation that keep things out of your inbox. That way you have fewer things that are coming in and then potentially you’re working on everything. If you’ve got a good filing system then you can take what’s in your inbox and file it. However, I know that people who have already hectic-looking inboxes that for them to get to inbox zero and with the amount that they have coming in, it creates more stress. It puts all their time, effort and focus on working their email versus working with what’s important in their goals. That’s the fear that people have. I wish people could have been looking over my shoulder when I’m in the office of a financial person with the school system and she shows me the 52,000 emails that are in her email inbox. When I walked out of her office, she had two. Here’s what we did. We looked at her email and I asked her this question, “How many of the emails that are in that email inbox are sitting there because they’re reminders of places that you need to be?” We created calendar events. She was on Google Calendar and she was on Gmail. We clicked on the three dots. We select create an event. It’s now a calendar event and she deletes that email. I said, “How many of these things are sitting here because they’re reminders of things that you have to do?” We had set up for her a digital task list that she could forward emails to. That email that you’re sitting there and you’re looking at it every day because it’s something you need to do two weeks from now. What if it got gone and then showed up two weeks from now? We forward it. Put a date on it. It’s sitting over there on her digital task list with the entire body of the email message sitting in the little note section of that task. What’s here? It’s good reference information. Either forward that to Evernote or forward it to Google Drive or whatever your note-taking system is. What we’re left with is all of those emails, for her thousands of emails, and I hear this over and over, “I can’t get rid of these because I might need them again.” I said, “We’re going to archive them.” I showed her how to archive and 52,000 emails in five minutes were archived. She’s sitting there with the two brand new emails that had come in. For most people, what it is in that email inbox is that I don’t want to get rid of it. I might need it again. The archive routine in Gmail or if I’m using Outlook back during those days where I have one little folder named Just in Case. I dragged things over to the Just in Case folder. Get Organized: Most people have a thousand things in their email inbox. They don’t want to get rid of it because they think they might need it again. A magazine executive who had over 60,000 emails in his inbox, we created him a little Just in Case folder and dragged it all over there. Emails that are left in my email inbox represent things I have yet to make a decision of. Sometimes when it’s late afternoon, evening and one comes in you go, “I don’t even want to think about that.” Leave that in the morning, but what I’m seeing is two or three or four rather than 40,000 of which the four or five I need to do something about are the four or five sitting at the top. That my midday is now at the bottom of the first screen and by the end of the day is three screens down and I’m going, “Where’s the needle in that haystack that I need to do something about?” I know there are different camps of thoughts, but I’m definitely the empty email inbox that decisions had been made on everything. It’s not that everything’s done but everything’s now in the right place. For the people in our audience that might have a crazy, unruly inbox. Those are some of the first places they can start. Anything is reminders of where you need to be then you can create an event. If it’s a reminder of what you need to do, you can put it in a to-do list. You can also put them in folders. There are lots of different ways. I’ve got a ton of different folders, folders for clients, folders for projects, folders for different things so that I can archive them. When I need to address or get to anything from that project, I know exactly where. There’s another place where we do things a little bit differently. I know people especially now that they have a lot of folders and is like, “Do I put it in this folder or do I put it in that folder?” If they drag it to the wrong folder, it’s lost. I’m an advocate of you have one folder for those things that you want to hang onto just in case because then you can simply search for it by person or by subject or by date instead of having to go to the folder. With folders, something can only be in one folder at a time, but when you’re searching you can search in various ways. Let me see all the emails from John Jones, all the emails that came in during this month. Let me see all the emails that have this particular word in them. There are lots of different searching systems. There are lots of different ways that people are comfortable working with. The main thing that I want our audience to take away is to have a process. To clearly think about it ahead of time and have a process of how you’re going to work through email or work through any of the things that you need to do and be able to set priorities. We can agree to disagree with the one way to do things or another way because there are many different ways and each of us has a different work style. I love it when people go, “I can’t wait to get my new planner,” and they hold that planner and it looks pristine. All the pages are blank. They write that first thing in that planner and they’re thinking, “This year is going to be so much different. I’ve got this brand-new planner. It’s not all ugly like last years was.” You wait a few months because if the practices don’t change, it’s going to be as ugly as the other one was. I want to see the person that goes, “I hate to get that next year’s planner because the one I’ve got right now that has served me well and it’s pristine and I can find anything in there that I want to.” That’s the person I want to talk to. I’m an Evernote Certified Consultant. I don’t talk about I like Evernote because I’m an Evernote Certified Consultant. I’m an Evernote Certified Consultant because I like Evernote. I wanted to learn more about it, make sure I was getting everything I could from it. I went through the training to get that certification. Back when I changed from Outlook to an all cloud-based system, back in the Outlook days I was keeping reference information in Outlook notes. There would be things in there like it might be favorite recipes or it might be back in the days before we had Google Maps that made it easy to get from point A to point B. Here was a note that had directions to my school that I could email to people. Little things that I wanted to have at hand and didn’t want to create a word document or something. I kept those in the Outlook notes. When I went to an all cloud-based system, it was Evernote to hold what I had been doing there. At that point, I had not been using Evernote much because I didn’t understand it. It was explained to me like this. Evernote will let you organize your reference information and I said, “I don’t need it.” My information was organized. I’ve got little file folders inside file folders inside file folders on my computer. I was looking at my computer as being the center of my digital world. If people said, “You can get to it from anywhere.” I said, “Thank you very much but I have Dropbox.” Anything I want to get to from anywhere, I can put it in Dropbox.” I didn’t get it. I didn’t understand. What I wasn’t realizing were two things. First of all, our computers have nice little folder systems and our mobile devices don’t have that good file structure. It’s getting much better now. Second, we’re so dependent on our mobile devices as far as being able to not only access things from anywhere but change them from anywhere and share them from anywhere. Even if you can open a document on your phone, can you change it? Can you share it? Does it all sync back? That gets a little dicier. With Evernote, it was like falling off a log. The thing that iced it for me was realizing that I could take a picture and we’re great about this. We use our phones differently. We use that camera much differently. We’re out somewhere and we snap a picture of something that we want to remember and it goes in the camera roll right along there with the pictures from that wild party you went to last night. With Evernote, you snap a picture and you can put a title. You can put it in a particular notebook. You can put more than one picture on that note. If there’s some audio that needs to be included in there, you hit another button, you record the audio. It’s part of the same note. You can type any text you want. It becomes part of the same note. I’m thinking, “I don’t have anything that does what this does.” That’s when I started using Evernote to its fullest. Get Organized: We’re so dependent now on our mobile devices as far as being able to not only access things from anywhere but change them and share them from anywhere. It’s a powerful tool. You can even do task lists in Evernote. Let the singers sing and the dancers dance. For me, Evernote is reference information for the most part. My digital task list is for those things that need to be done. There are a lot of things that move from one to the other. If I’m working on a project and Remember The Milk, it’s got a number of steps. I now have all those steps completed. I can print a little PDF to send right over to Evernote that here are all the notes and all the subtasks that were part of that project. It’s moved from this project is now completed. There’s no more action. This now becomes reference information. Much as during the Outlook days, I would be working on an involved project. When it was completed, I would drag it over to the notes module. You have all your tasks in that application and not directly in your calendar? Do they sync in your calendar? That’s another important point. My calendar is where I am. When I ask people, “Do you keep your tasks digitally?” The ones that say yes when we start to peel back that onion, most of the people come down to one or two things. I keep my tasks in my calendar because I don’t have a better place to put it or I use that little yellow legal pad looking thing in my iPhone, which is great for the grocery list for this afternoon. As far as the thing you got to do two weeks from now or the thing that you have to do on the first Tuesday of every month, that’s where it all falls apart. I’m a big one on let the singer sing, let the dancers dance. My calendar is where I am. My task list is these are the things that I need to do. I want to do this Monday morning, 9:00 is fine, 9:15 is fine, and 10:15 is fine. Sometime during that part of the day and my task list works great for everything gets a due date, it’s sorted by due date. Within that, I have a secondary priority. The things that I want to do in the morning high priority, afternoon medium, and evening low priority. If something doesn’t get done that day, I don’t have to drag it over to the next day on my calendar or constantly look back at past calendar days. It rolls over to the next day. I never have to rewrite anything. I never have to drag anything anywhere else. My calendar stays clean. That is why you are organized and teaching people how to be organized. Tell us for the people who are out there who think, “That’s all well and good, but I don’t even know where to start. These are great suggestions but where do I start?” What would you tell them? Let me put it in a quick plug for myself because this is going to give people things they can use. On my website, FrankBuck.org, right on the home page right under my picture, people can click to get on my mailing list. The first thing you get is chapter one of my book that shows you how to get your desk clean and then the next little gift shows you how to set up Remember The Milk. Let me give people who are going, “I got paper all over my desk.” Let me take you back to the mid-‘60s with something I learned from my dad. He was an attorney in a one-man shop. Don’t think of anything that you’ve seen on TV with a big law firm. He was his own secretary, his own bookkeeper, his own everything. I’m an eight-year-old kid. I’m hanging out at his office during the summer because in Alabama it’s hot. His office was air-conditioned, which was not ubiquitous back in the ‘60s. The first thing he always did was open this one filing cabinet drawer and inside that drawer was simply files labeled 1 up to 31, each one representing a day of the month. If it was the 15th day of the month, he pulled out file number fifteen and in there it was his whole day was in that folder. There were papers related to all the people who were coming to see him that day. They would make notes on those packets of papers. They would set the next appointment. At the end of the day, the person coming back on the second of next month, their packets went in folder number two and so forth. His desk would be empty at the end of the day. I thought my dad invented that system. I know it’s an old business tool called the Tickler File. For the people out there that are going, “I got to get on top of the paperwork.” That’s where I teach people to start. Get a milk crate and some hanging file folders, label them one through 31. That’ll handle anything happening the next 31 days and then behind that twelve more folders January, February, March. Label them with the names of the month. All the paper that’s lying on your desk because you’re going to need it at some time in the future, ask the question, “Where do I want to see this again?” and put it in the appropriate folder. Those tickets to the concert that is on your desk and the concerts three weeks from Tuesday, and you’ve got them lying on your desk going, “I can’t lose these.” They get stuff piled on them and then you walk out the door and with no tickets. Take them and drop them in the file for the date that concert is happening. There are many applications. I buy birthday cards one time a year and I sit down and I address all the birthday cards at one time. I print the labels out. Put the return address stickers on there. Where the postage stamp is going to go? Put the date it needs to go in the mail. People say, “That’s not going to work. You’re going to have this big stack of cards.” I take one more step. Drop them in the tickler files. I’m watching probably one TV program handling my birthday cards for the whole year dropping them in the tickler file, and then I earned the right to forget about it. Here’s the thing. People think I’m thoughtful because I remember their birthday. I’m not any more thoughtful than anybody else. There are a whole bunch of thoughtful people out there that missed birthdays because they don’t have a system to organize them. Go into that card shop to get one card on the way home from work after you spilled coffee on yourself and the traffic is a mess and your boss got on you and this, that, and the other. You go, “Forget it.” The thing about a system is it makes it easy enough you’ll do it. Get Organized: There’s a whole bunch of thoughtful people out there that missed birthdays because they just don’t have a system to organize them. Systems are important and I’ve never heard that one that people write them out at the beginning of the year for the whole year. That’s pretty cool. I do it a little differently but I like that. It’s important that we explore other people’s systems and different systems to hear what they do and try them on and see how they fit. That’s an interesting way to approach it. You don’t forget. Thanks for sharing that. That has worked for many people. It sounds like a great system. What is the biggest takeaway that you want somebody to walk away from this episode? Have a system. Work the system. Stay with the system. When you want to jump the system, first clean the system up. It’s all about the system. Thank you so much, Frank, for being here and for sharing a few nuggets out of the many that you’ve got available. I urge people to go and check out Frank’s website and get on his newsletter. That’s FrankBuck.org. Frank, thanks for being here. Penny, it was a pleasure. Thanks for having me. Thank you all for reading because without you we wouldn’t be here. We appreciate that with every episode that you get another expert in their space who’s sharing their wisdom, their knowledge, and the systems that they’ve created that make things work. Go ahead and apply at least one thing that you learned. Start with one that’s going to make a big difference. Start with your desk. Get your desk clean and then you can tackle that email box. We’ll see you in the next episode. Frank Buck served as a teacher, principal and central office administrator during a career in education spanning almost 30 years. He realized early that getting organized and managing time well makes life easier. Dr. Buck adopted and perfected tools which have been with him throughout his career, and for over 15 years has shared those ideas in workshops designed for those in education. His blend of content and humor has made him a favorite with audiences throughout the United States and Canada. Dr. Buck’s books, Get Organized! Time Management for School Leaders and Organization Made Easy! Tools for Today’s Teachers capture those ideas in an easy-to-read, “nuts-and-bolts” approach to time management and organization. Whether one’s preference is to organize with paper or with a digital system, Dr. Buck’s approach makes getting organized easy.